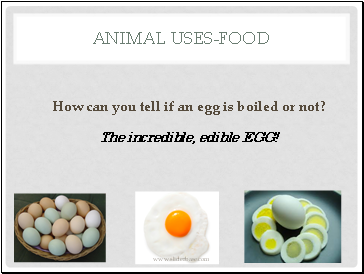 How can you tell if an egg is boiled or not? 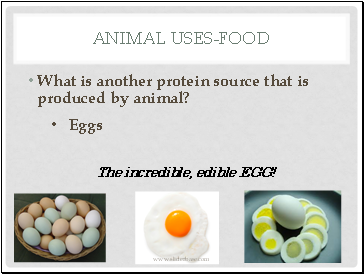 What is another protein source that is produced by animal? 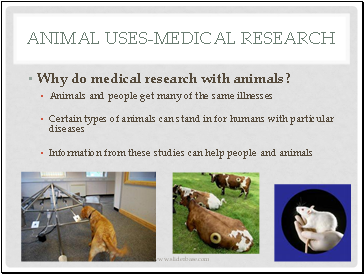 Why do medical research with animals? 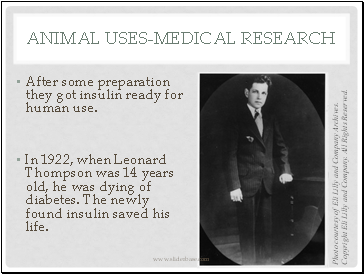 Insulin was discovered from a dog! 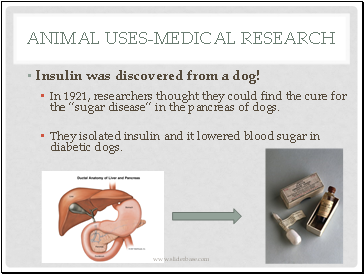 In 1921, researchers thought they could find the cure for the “sugar disease” in the pancreas of dogs. 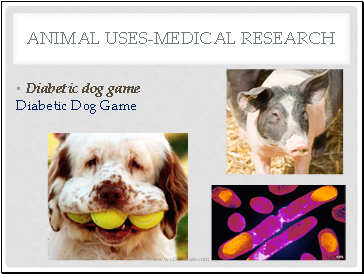 They isolated insulin and it lowered blood sugar in diabetic dogs. After some preparation they got insulin ready for human use. Photo courtesy of Eli Lilly and Company Archives. Copyright Eli Lilly and Company. All Rights Reserved. In 1922, when Leonard Thompson was 14 years old, he was dying of diabetes. The newly found insulin saved his life. 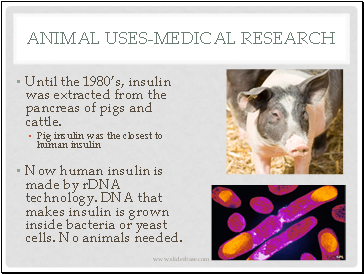 Until the 1980’s, insulin was extracted from the pancreas of pigs and cattle. Now human insulin is made by rDNA technology. DNA that makes insulin is grown inside bacteria or yeast cells. No animals needed. 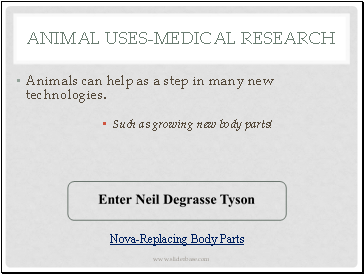 Animals can help as a step in many new technologies. Such as growing new body parts! 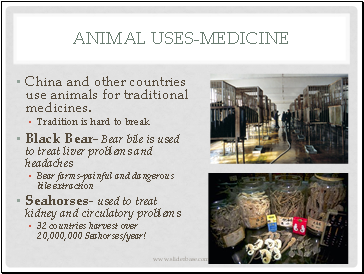 China and other countries use animals for traditional medicines. 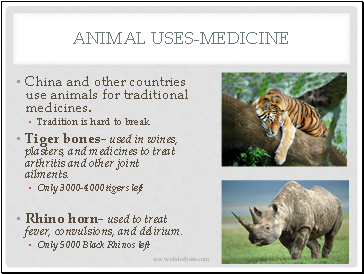 Tiger bones- used in wines, plasters, and medicines to treat arthritis and other joint ailments. Rhino horn- used to treat fever, convulsions, and delirium.